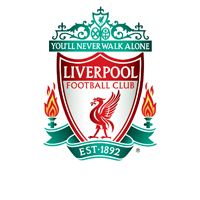 Watch some of Liverpool FC Women’s biggest games for less with a half season ticket, valid from 1st December 2018 onwards. 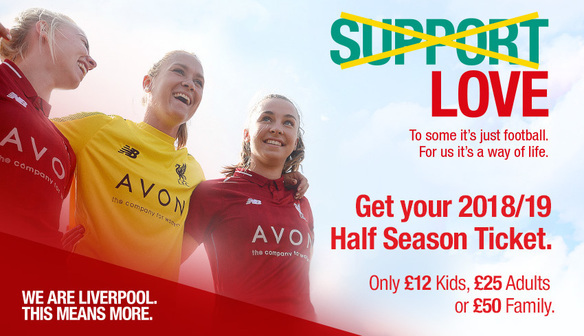 Half Season Tickets for the second half of the Liverpool FC Women’s campaign are on sale now starting from just £12 for children under 16 years. Supporters have plenty to look forward to in the FA Women's Super League, with some of the biggest games against Arsenal Women, Chelsea FC Women and Merseyside rivals Everton Ladies FC. With home games in the Continental Tyres Cup and Women’s FA Cup also included, the Half Season Ticket offers an affordable day out for the whole family. Turnstiles usually open one hour before kick-off, with plenty of activities to enjoy, including free face painting and colouring activities for the kids and a chance to meet official club mascot Mighty Red. Where possible, the Club will facilitate a meet and greet with a player before the game, while several players will stay behind for a short time after the final whistle for photos and autographs with their supporters. The Half Season Ticket makes a wonderful Christmas gift for any Red – click here to buy today.